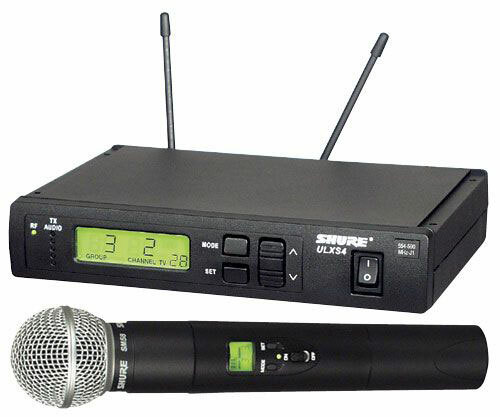 Shure's ULX Ultra High Frequency (UHF) wireless mic systems represent a breakthrough in performance and price. Multiple system configurations provide limitless options with a choice of legendary Shure microphone transmitters. Over 1400 selectable pre-programmed frequencies are available and Automatic Frequency Selection provides a straight shot to a clear channel.